I just wrote “The End” on a (very rough) draft of my next novel. It is SUCH a satisfying moment! All the more so this time, as I have been racing ahead to finish a draft before going travelling – we leave in just 6 days time. Having finished it before we go means I can print it off and take the printout with me to edit. I prefer doing the first, major edit on paper, with a red pen. It’s easier to be ruthless when you can put a big red cross over an entire page and scribble something different in the margin or on the reverse. Of course, once we are away travelling in our motorhome printing will be a bit tricky. I’ll be taking my laptop of course, and we have various arrangements to allow us to be online (see here if you are curious!) but printing would involve taking a memory stick to a print shop and explaining what I need in broken French or even more broken Italian. It’d probably cost a fortune too. So I was keen to get to the point where I could print it at home and take it with me. In other news – The Pearl Locket is currently on sale in the UK at 99p, but only for a few more days. And don’t forget my new book The Girl from Ballymor is available for preorder in both ebook and print format! For a limited time only, my novel The Pearl Locket is FREE on Amazon UK! I’ll be promoting it like mad – would love to see it at the top of the free charts, so please help me out here with a bit of sharing or retweeting! I found this GIF which I think reflects the book well – moonlight across the sea was an image I thought about a lot when I was writing the book. Pretty isn’t it? I have been making heavy use of the snipping tool today, capturing screen grabs as The Pearl Locket has climbed the charts. It won’t last long, so I’m enjoying it while I can. So please excuse this horribly self-indulgent post. Here it is, #1 in Women’s Historical Fiction. It’s also #1 in Sagas, #50 overall, and has a lovely little best-seller flag. Updated 5pm on 25th – book has continued to climb the charts even though it is now back at full price. Here’s the current snapshot which has me even more excited! Never thought I would hit top 10! Kindle Daily Deal for The Pearl Locket! I always dreamed that one day Amazon might choose one of my books to be featured on a Kindle Daily Deal and today they have. The Pearl Locket is 99p on Amazon UK for today only! Buy while stocks last, tee hee! No, this isn’t going to be a post about how I began as a short story writer and became a novelist. It’s a post about a specific short story I wrote some years ago, which formed the basis for my latest novel, The Pearl Locket. Whenever I’ve mentioned to people that I turned a 2,000-word short story into a 70,000-word novel, their eyes have tended to widen and their jaws drop open. Here’s a little insight into how I managed it. If you’ve read everything I’ve ever published (then you are probably my mum) you will have come across a ghost story called We’ll Meet Again which I included in my book, Ghost Stories and How to Write Them. When I was putting that book together, and re-reading the stories I included in it, it struck me that here was a story which could perhaps become a dual-timeline novel. I’d just about finished my novel The Emerald Comb at that time, and knew I wanted to write more books using the same structure – ie alternating chapters telling a historical story and a contemporary story which were linked. The short story We’ll Meet Again was all in one time period – the contemporary story – but I instantly saw that I could also tell the historical story: that of Joan and Jack and their love affair. I set about planning the novel – using a spreadsheet and writing a couple of sentences about what would happen in each chapter; aiming for around 25 chapters. Obviously I needed to add lots of new scenes in both timelines but I made sure they were all there to further the main plot lines. As with The Emerald Comb I found it easier to write the historical story than the contemporary. This was mainly because the historical has just a single linear plot. In dual-timeline novels, the contemporary story needs to include a plot and perhaps sub-plots for the contemporary characters, as well as showing how they uncover the mystery buried in the past, and it all has to weave together in a satisfying way. I can’t tell you how many times I rewrote the contemporary sections, juggling chapters and reworking events. I had to add several characters of course – Joan’s parents, Jack’s aunt and friend, Kelly’s brother, the next-door neighbours in both timelines, and Kelly’s boyfriend Matt (who I fell a teensy bit in love with. What a thoroughly nice boy he is!) I decided to keep the same names for all the main characters as I’d used in the short story. They were already alive in my head and I didn’t feel I could rename them. It’d feel like renaming my children. My first draft followed the plot of We’ll Meet Again quite closely. It was definitely a ghost story and had the same ending. But my excellent editors at Carina suggested I should make it less supernatural, so that it would still appeal to non-ghost-believers. The Emerald Comb has no ghosts (although little Thomas is spooked by the wind in the chimney and thinks there is one!) and so it made sense to ensure my second novel fell into exactly the same genre. Not every short story could become a novel, but every now and again you might write one which can. If your tale has a lot of back-story which is only hinted at, summarised or glossed over, then perhaps it is expandable into a novella or novel. It’s a big, tough but rewarding writing exercise! The Pearl Locket – publication! Yesterday was publication day for my second Carina UK novel, The Pearl Locket. It’s been said before, that launch day for a book is a little like the day your son or daughter leaves home to fend for themselves. You’ve done your job as author, bringing your book-baby into the world, and you can do no more. Now it’s time for the book to be released into the big wide world, to sink or swim on its own merits. It’s a scary moment. And I think it is worse this time round. With my self-published books, I thought that if I sold a couple of hundred copies that would be ok, I’d be happy. My first Carina book was exciting, but I still counted as a new author to most readers, and so there was nothing I had to live up to. So, that’s what I am doing. Getting on with the next one, that is. I am DELIGHTED to say that Carina have offered me a second two-book deal, which means I really DO need to get on with writing the next book! It’s been quite a month. Looking back on it, last night, I realised actually it’s been an amazing month. During October we went to close friends’ silver wedding celebration, a 50th birthday party, and spent a wonderful long weekend at the Cork jazz festival with my sister-in-law and her husband. In the day job a major project I’ve managed and worked on for most of the year came to a successful conclusion. And as for my writing endeavours – wow. October has been brilliant. The Emerald Comb went onto an Amazon 99p promotion and sales took off. I’ve had some wonderful reviews. I even had a best seller flag for a while! I’ve been featured on loads of lovely blogs promoting The Emerald Comb. For links to them all, see this page. 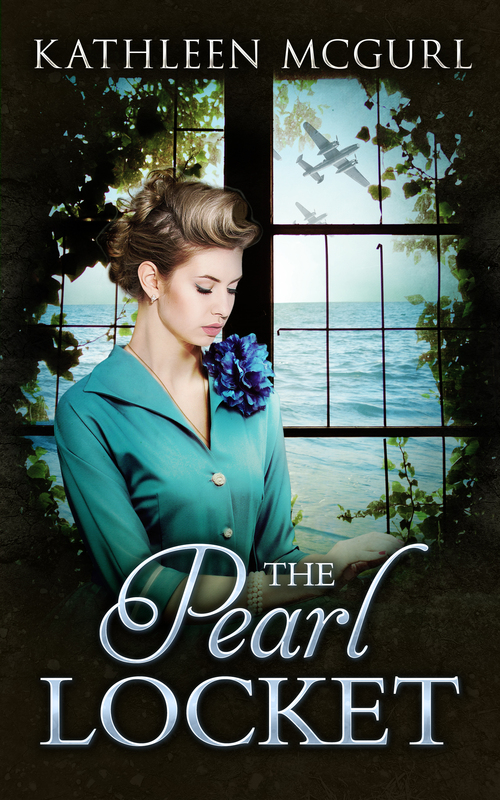 The Pearl Locket went up for pre-order and immediately made it into the historical fiction chart. Sales of Mr Cavell’s Diamond have been boosted by a Countdown deal, and have also been helped by people enjoying The Emerald Comb and coming back to see what else I’ve written. Sales of the How To books ticked along, and I sold more paperbacks of them last month than any other month to date. I have almost finished the first draft of a short new non-fiction book. I had the idea in early October and have raced through it. I’ve had an idea for another novel, might be the next one I write, we’ll see. November will be quieter, I suspect. Although I’ll be writing a lot, as usual! The Pearl Locket – now available for pre-order! I’m delighted to announce my next novel, The Pearl Locket, is now available for pre-order from Amazon. Here’s the link to Amazon UK. At the moment it only has a holding cover – I’ll reveal the final cover on this blog as soon as I have it. The book is not scheduled for release until February so it’ll be quite a wait, but it’s lovely to have another book (almost) out there.